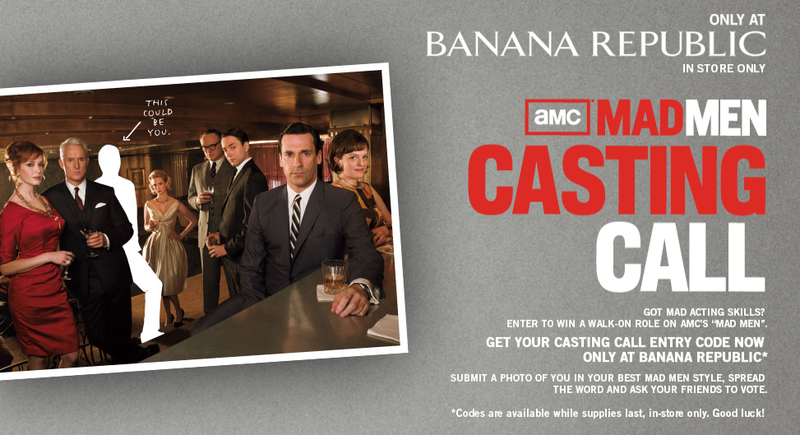 AMC's hit show Mad Men and Banana Republic are doing the cutest contest - a chance to win a walk-on role! To enter, you need to visit a Banana Republic store for an entry code, submit a photo and ask your friends to vote. Thanks to my friend Erica for telling me about this contest. We were half-joking about the role women of color had back in the 50s (maids, womp womp). Jokes aside, I snapped her photo the other day, and check it out! And perhaps show her some love with a vote? 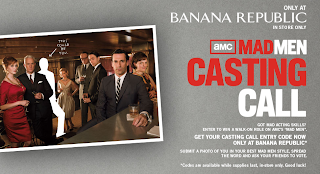 For contest details or to enter go to madmencastingcall.amctv.com. If you have an entry, please link us. 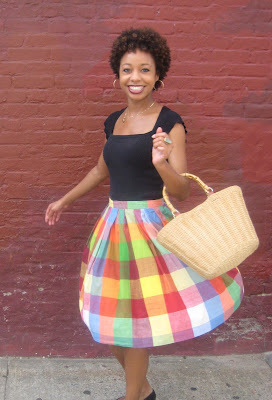 We'd love to see your nifty fifties style! Thanks for the promo (and styling/photographing skills), Lani Love!